This article was sponsored by Spin Master Games. 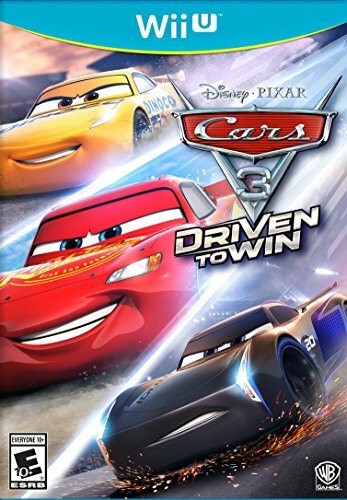 All thoughts and opinions about Cars 3 Thunder Hollow Mud Madness Game are our own! Thank you for the fun game, Spin Master! Weston and Carrigan are becoming huge fans of board games. 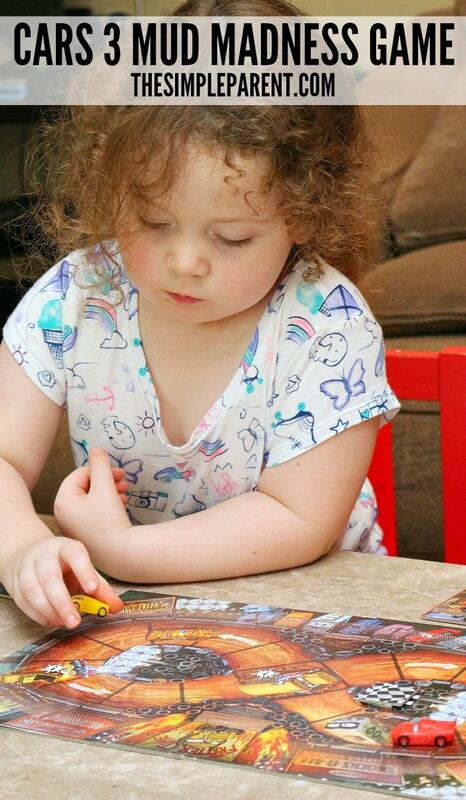 I’ve been on the hunt for games they can play together because I can only handle playing kids board games so many times. But I think it’s important to for them to learn how to play games so I want to encourage them. I think it’s important to learn how to win and how to lose when playing with other kids. 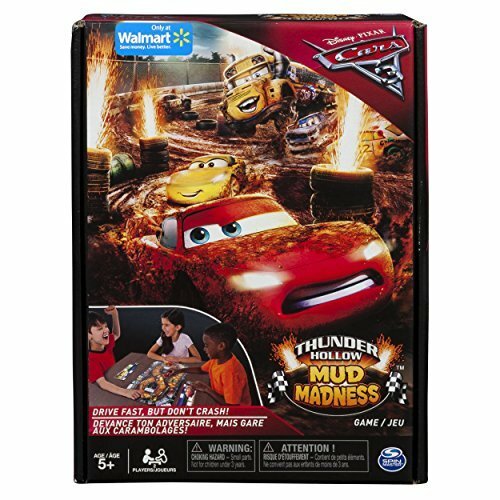 We’re also huge Disney fans so when SpinMaster sent us the Cars 3 Thunder Hollow Mud Madness Game, I was pretty sure it would be a great board game to add to our collection! 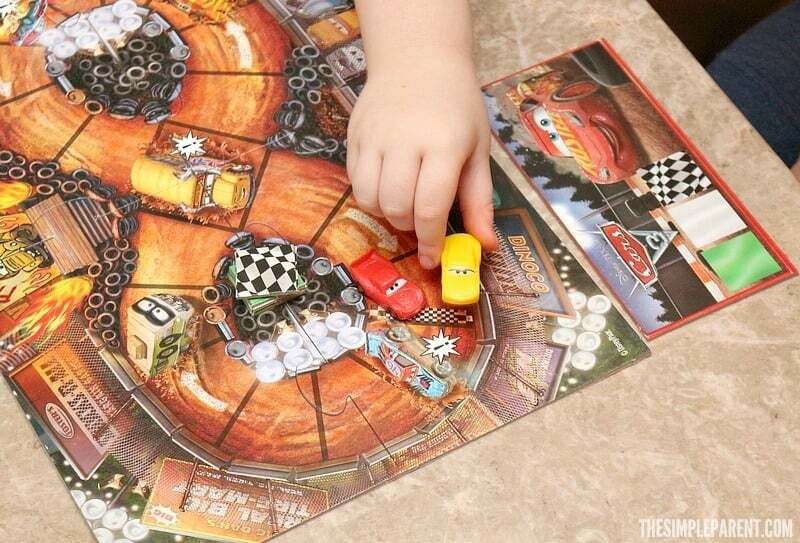 Cars 3 Thunder Hollow Mud Madness Board Game from Spin Master lets the kids take Lightning McQueen and Cruz Ramirez for a crazy race on the Thunder Hollow figure-eight track! 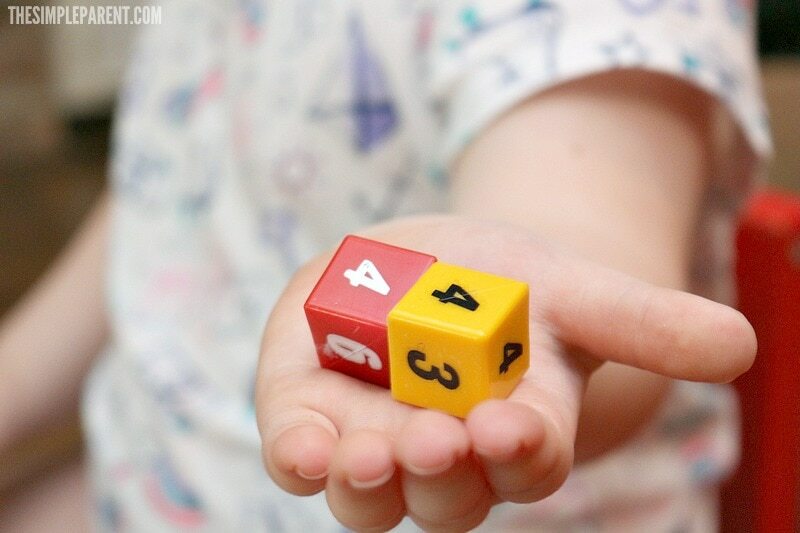 It’s easy to play by rolling the die but also offers the change for some strategy by offering two different dice to choose from — one that is riskier and one that is safer. 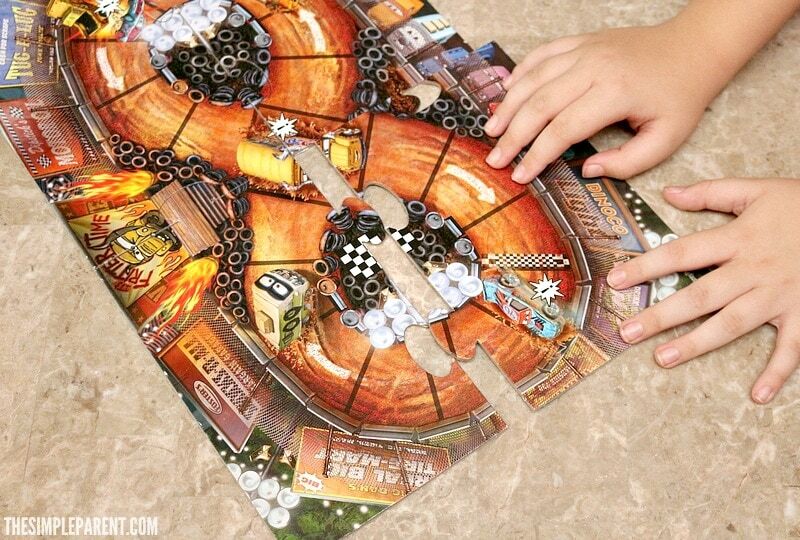 Within minutes of piecing the game board together (like a puzzle which the kids loved), they were laughing and playing! Watching my kids be fully engaged in a game is something I love to see as a parent. 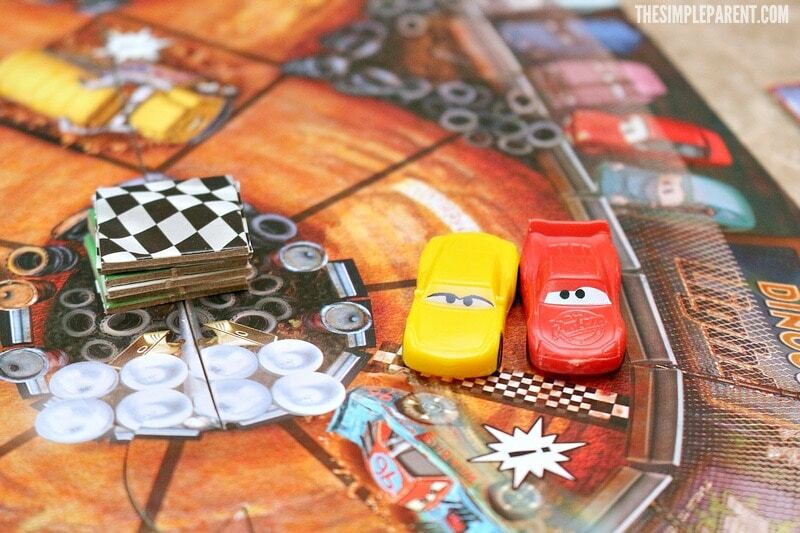 The game is fast-paced enough for them that they can play a few rounds in a single sitting. This makes it easier for them to deal with a loss when it happens. So they’re learning how to win and lose while having fun! Both kids also love playing the game with Justin! Weston turned it into a family game by having us make teams. 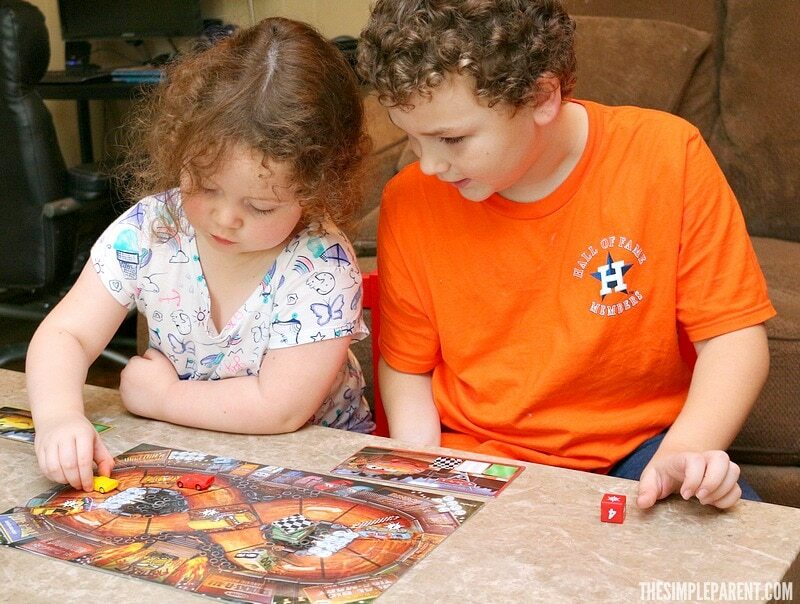 It was a great way to turn the two player game into one the family could play together! 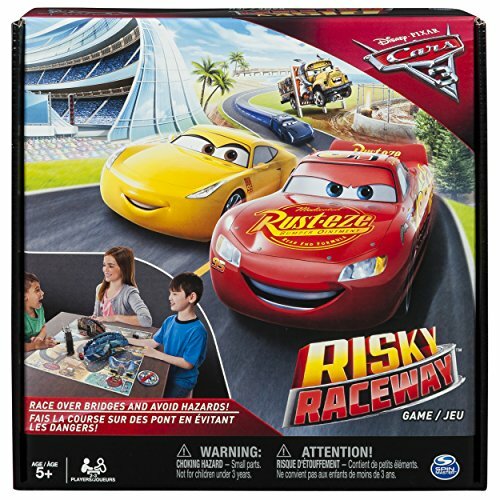 We love to turn our movie nights into something special, so this is a great way to combine a movie night and game night in one! 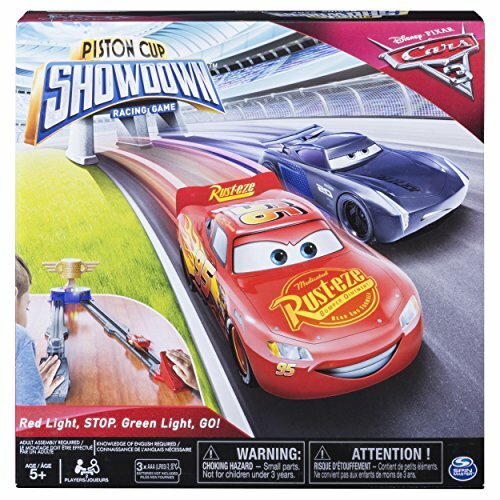 Spin Master Games – Cars 3 toys are available now at Walmart, Amazon and Toys”R”Us!